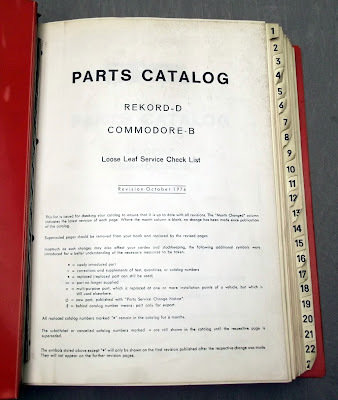 I have received a message from Matija, who hails from Slovenia who is the owner of an Opel Rekord 2100d, he was looking for a parts catalogue or any service literature for this particular model. 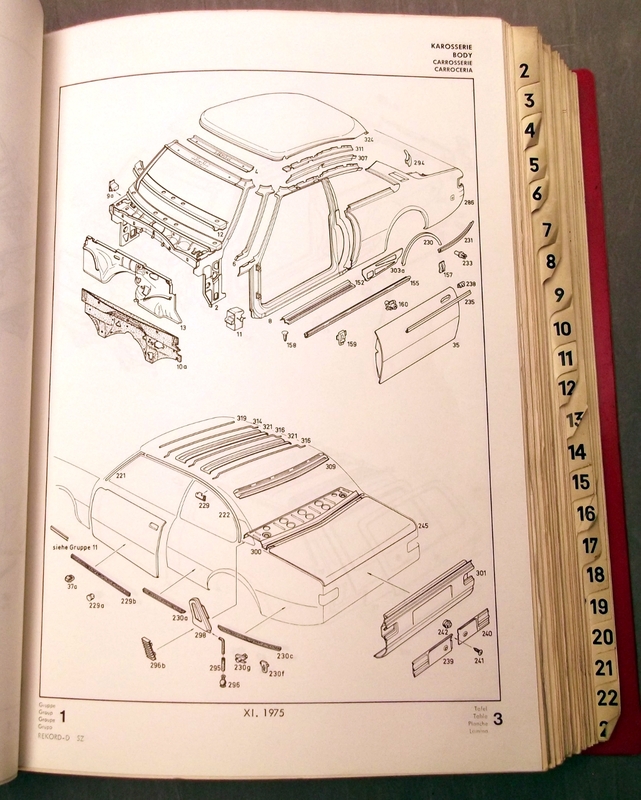 Service literature I don't have, but I do have the Factory Parts Book for this model, the exploded diagrams are a work of art and can help with re-assembly, especially when it comes to all the fiddly chrome trim that Opel embellished the bodywork with. 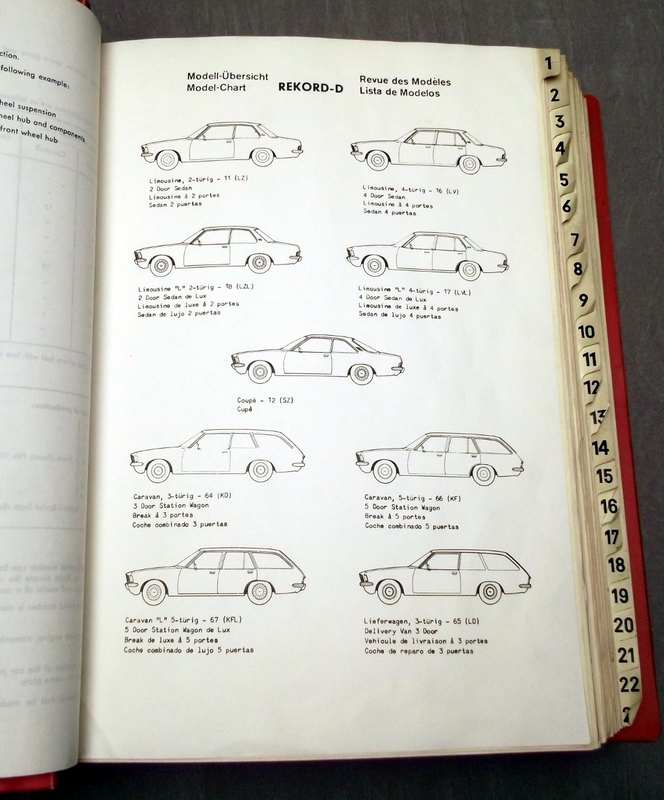 The illustrations also refer to the part number tabulations, so with patience you can find exactly the right part number, this can make identifying objects found at the back of the shed or at the autojumble a much easier experience. All of this usefulness will cost just £25 plus postage. Matija needed a few points clarified about this book. This is the real deal, not a photocopy and you get what you pay for. 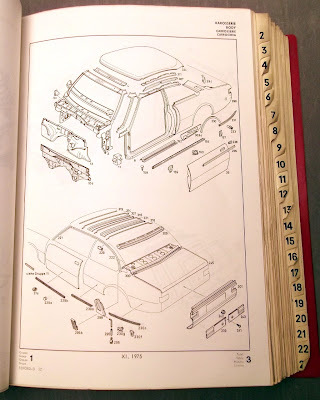 The pages aren't numbered in total, but each section is numbered, there are 23 sections, the thinner sections have 4-10 pages, the thicker sections up to 40 pages. Opel Rekord D - nothing a lick of paint won't fix! 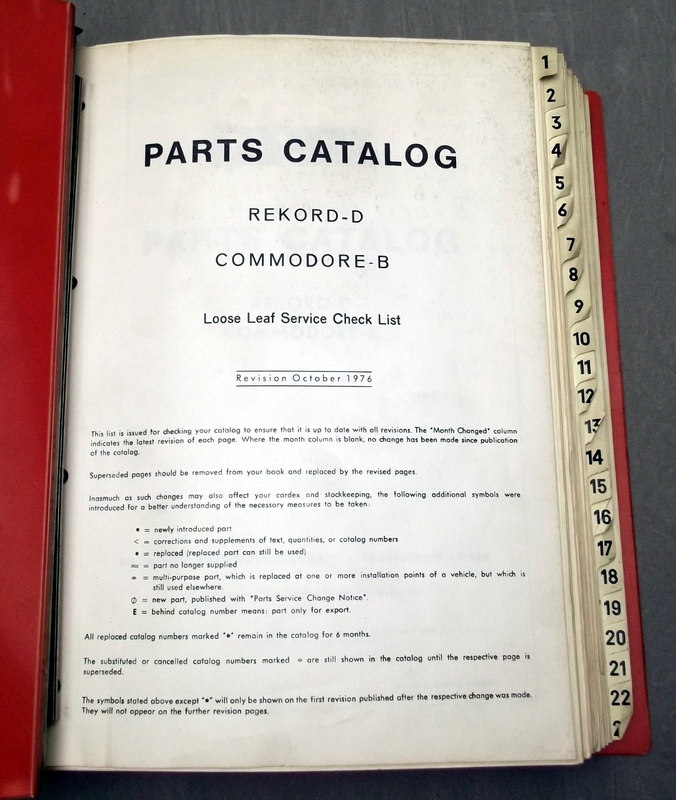 Do you still have the book? I'm really interested. Chris, sorry, if I remember correctly it found a new home in Turkey last year. And at least a copy of it? Do you have the contact yet? Hello, i bougth that book for my project, if you want i can make you a copy for 20 euro + shipment? is the yellow scrap metal car yours? If so, I could use the hubcaps and wheel rings. The yellow car was one of several old Opels parked in a scrap yard in the Irish Republic a few years back.